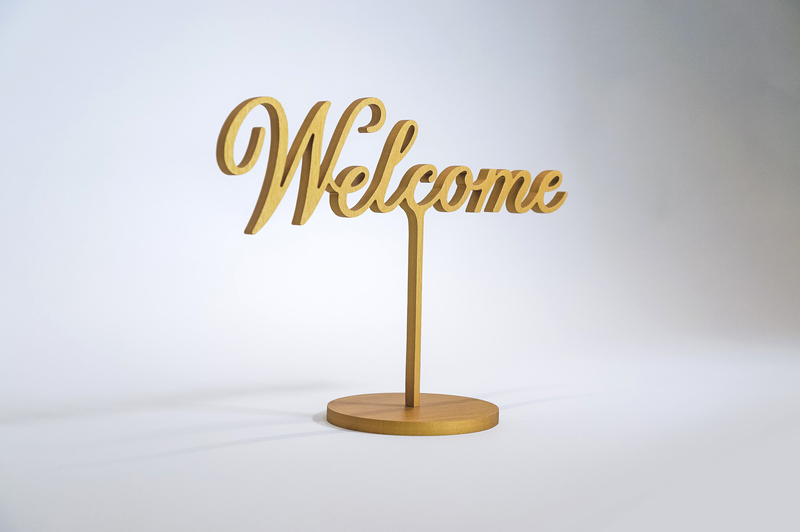 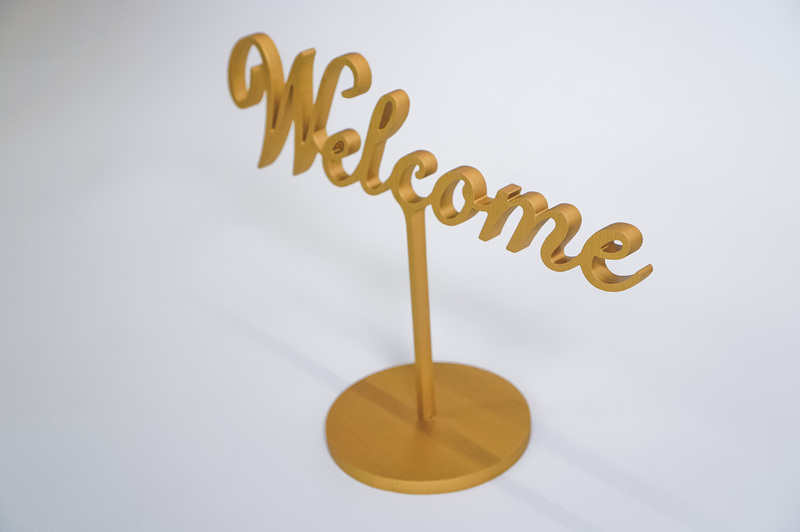 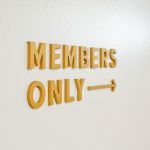 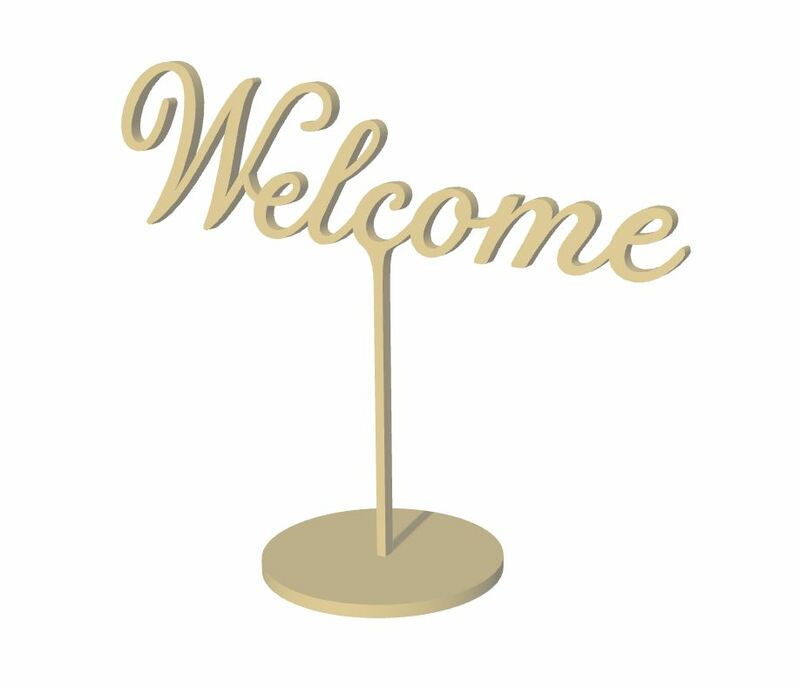 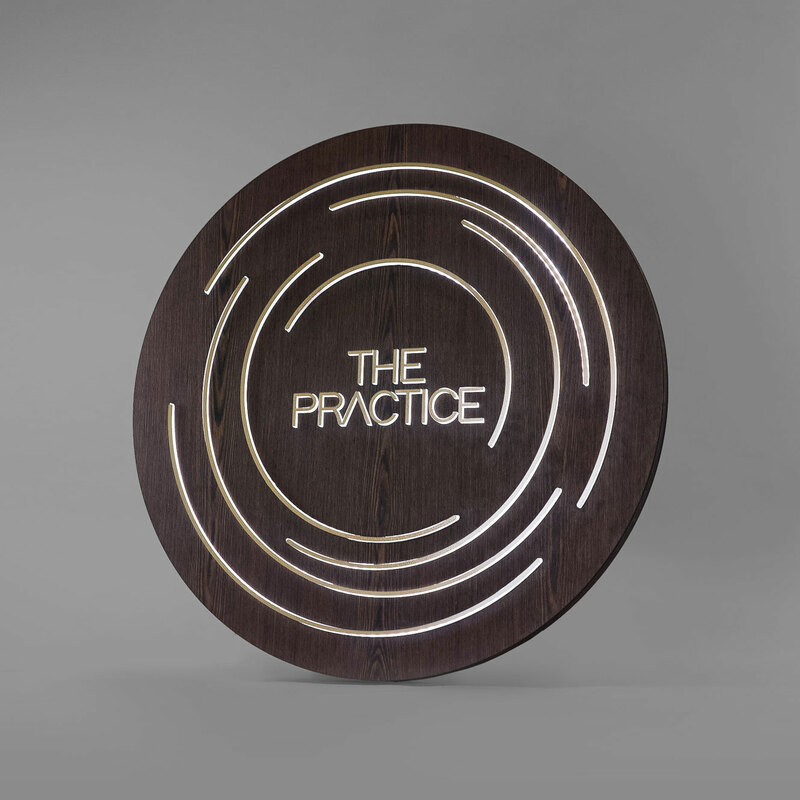 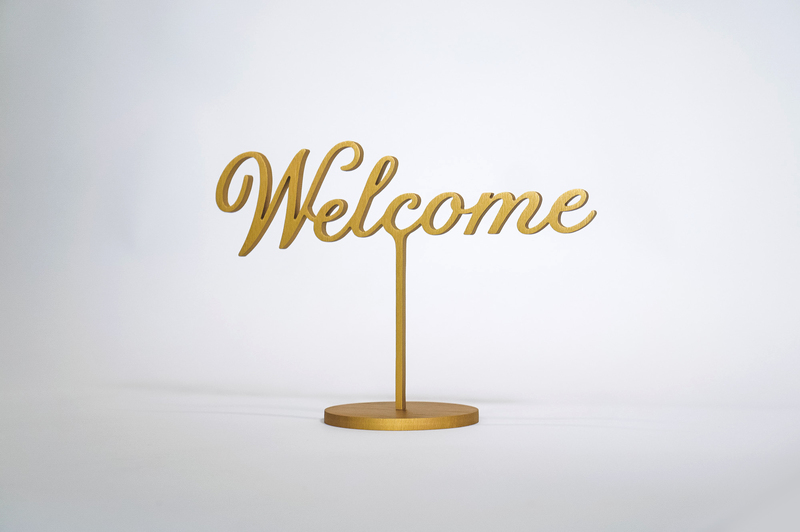 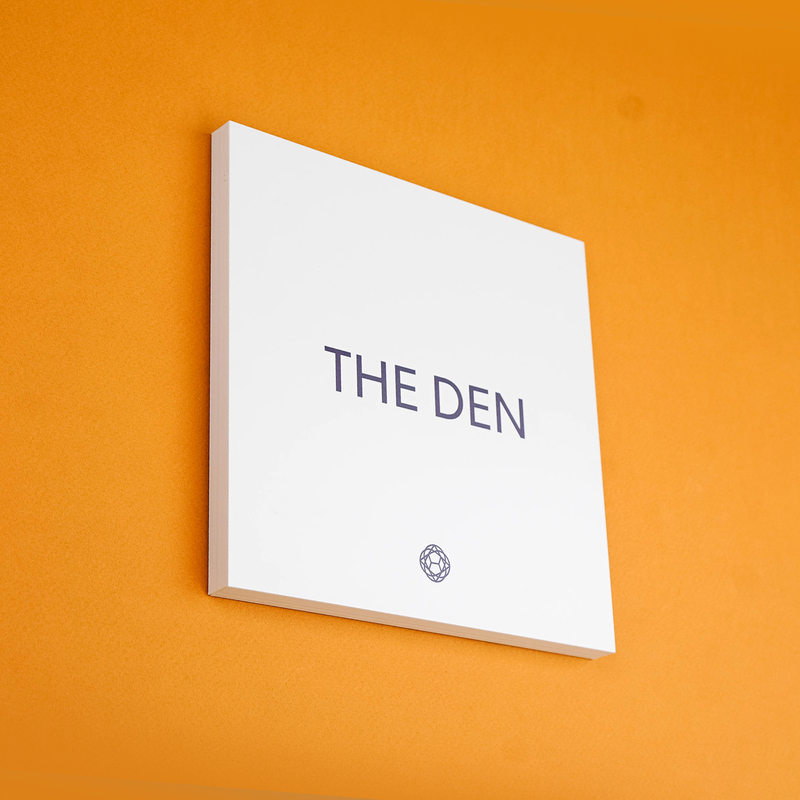 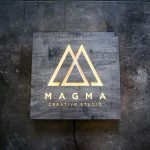 Brushed gold, free-standing welcome sign in script for the entrance at The Wing in San Francisco, a co-working space for women. 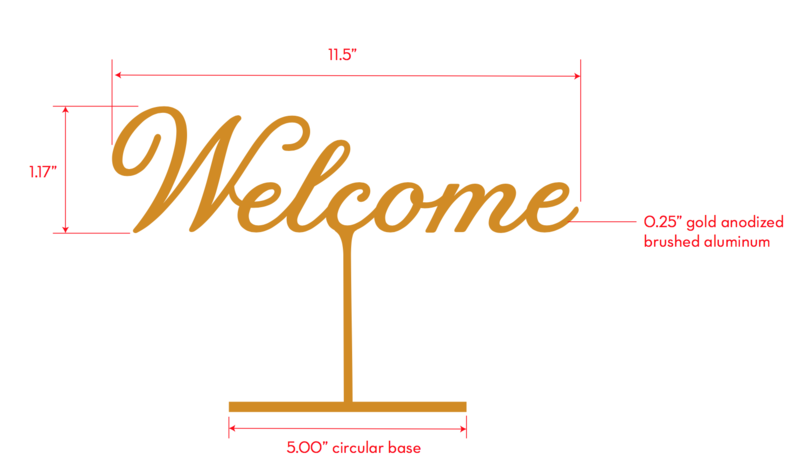 Shop drawing created by Tinkering Monkey. 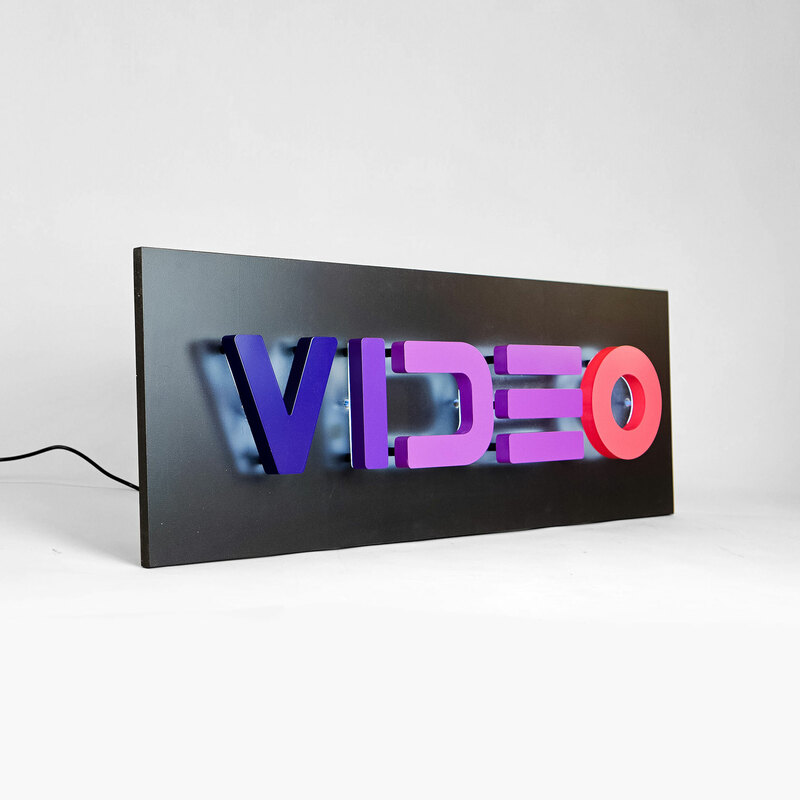 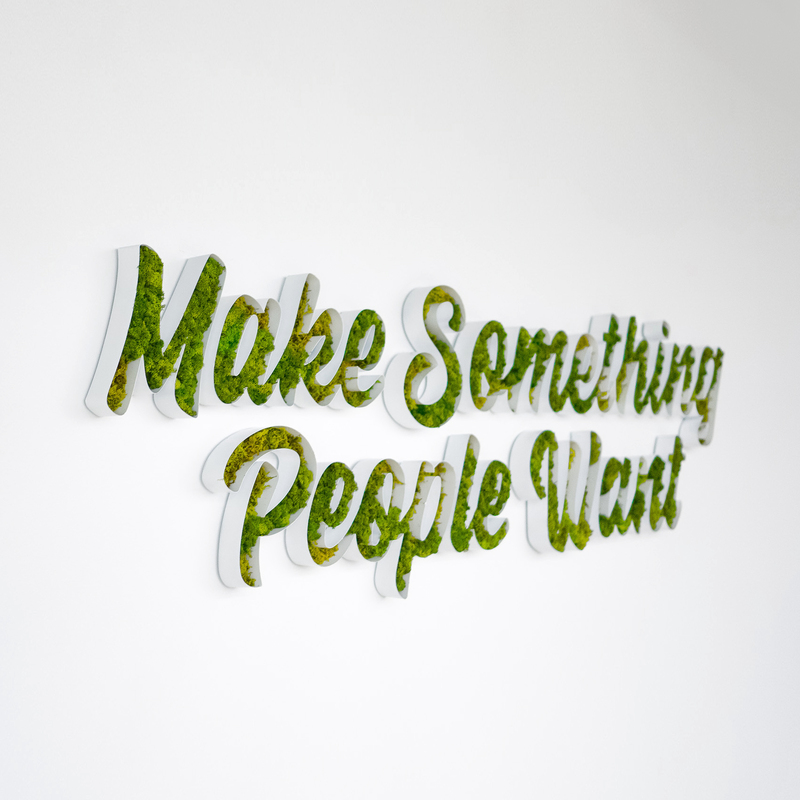 3D mockup created by Tinkering Monkey. 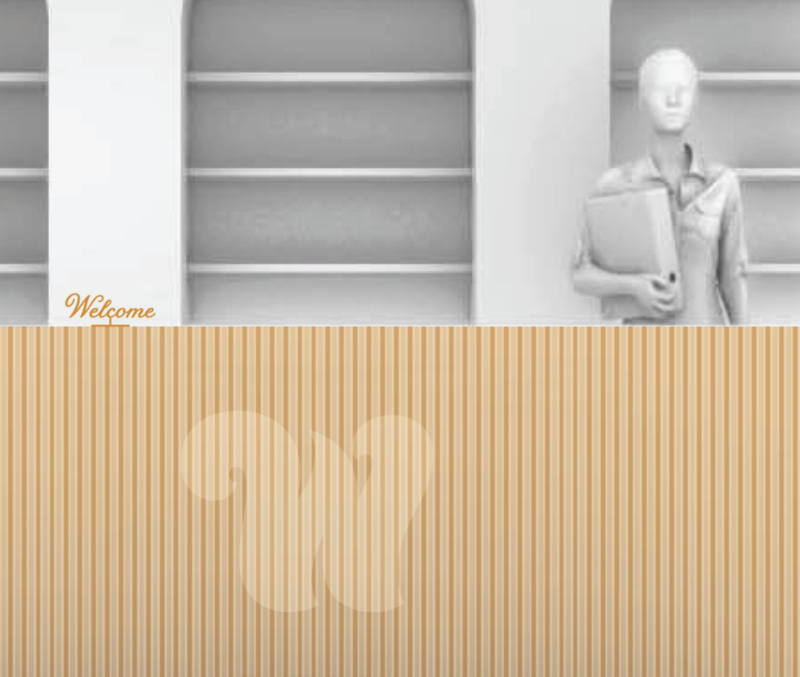 Rendering provided by The Wing.